Why should I do Scottish winter climbing with Climb365? The Scottish winter climbing course is a 5-day course designed to give you an amazing week to climb winter ice climbing & mixed climbing routes in Scotland. 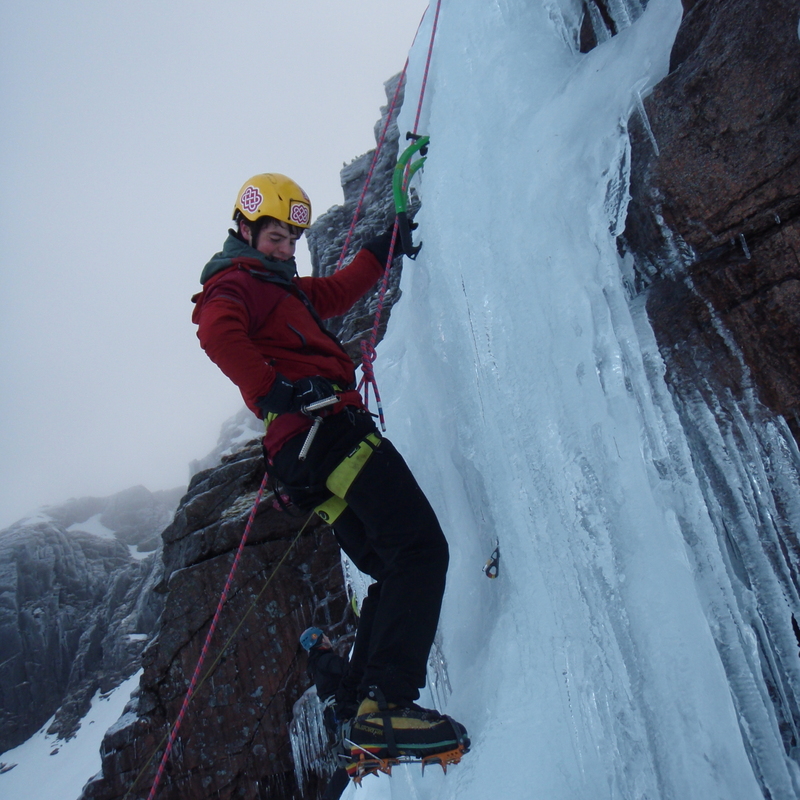 The Scottish winter climbing course begins by teaching essential winter climbing skills like using crampons for moving on ice and steep ground. We look at how to place your axes in the ice how to swing the axes efficiently. 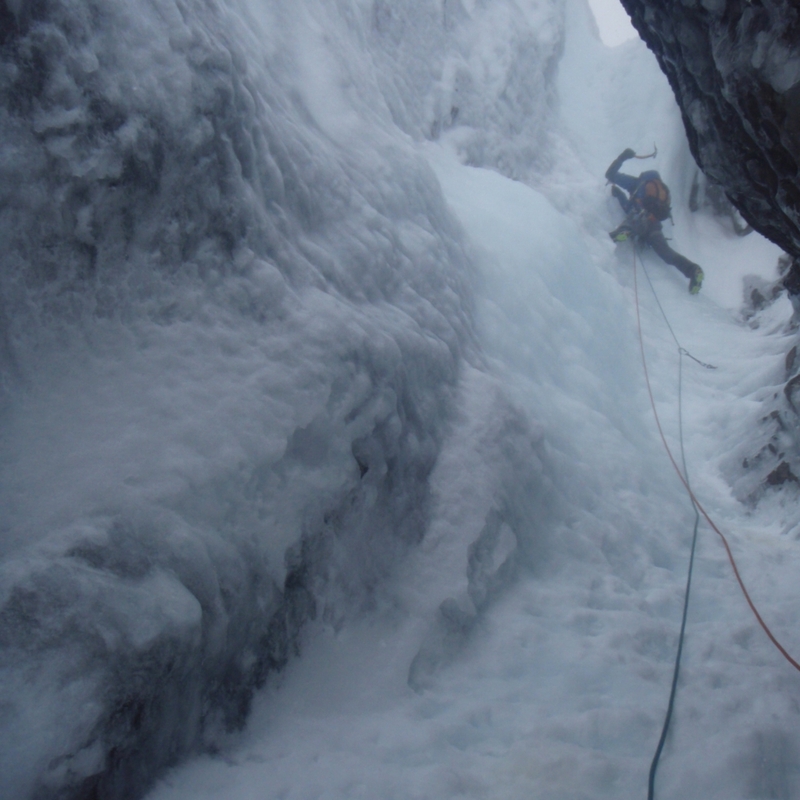 Throughout the week we train and guide you to enable you to have fun enjoy the challenge of winter climbing. We coach your movement and technique for winter climbing. Throughout the week you will learn about climbing as we go climbing. Each day we will involve you in the decision-making whilst getting out climbing. You will learn about avalanche awareness and route choice. We know how valuable your time away is so we so we start our days early to get the most out of each day. 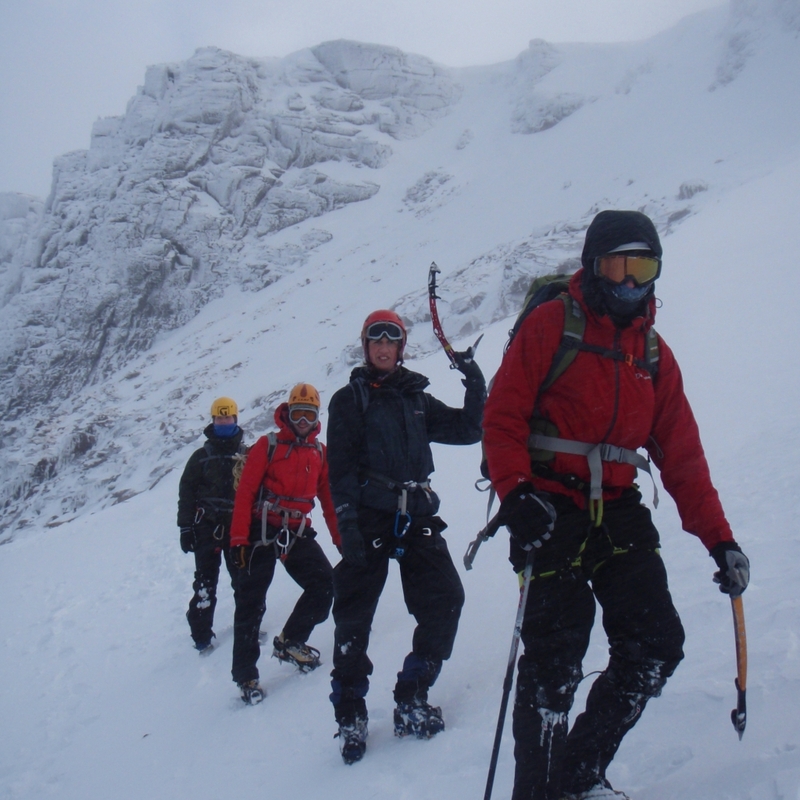 No previous winter climbing experience is needed for our Scottish winter climbing course, however, any basic knowledge of climbing or winter walking can be useful. We usually climb winter routes in the grade range II/III to IV through this week, but we are always guided by the ability of the course members. If you have previous winter climbing experience and climb at grade IV upwards then we would advise you to attend our advanced winter climbing course. The night before: We’ll meet up with you and all the other winter mountaineering course participants. We run through the programme and the weather and look at the kit that you have, issue hired kit and discuss what you need to carry for each day. Intro to winter climbing, we often try and go to an area of ice that we can run a workshop style day. Introducing movement on ice. 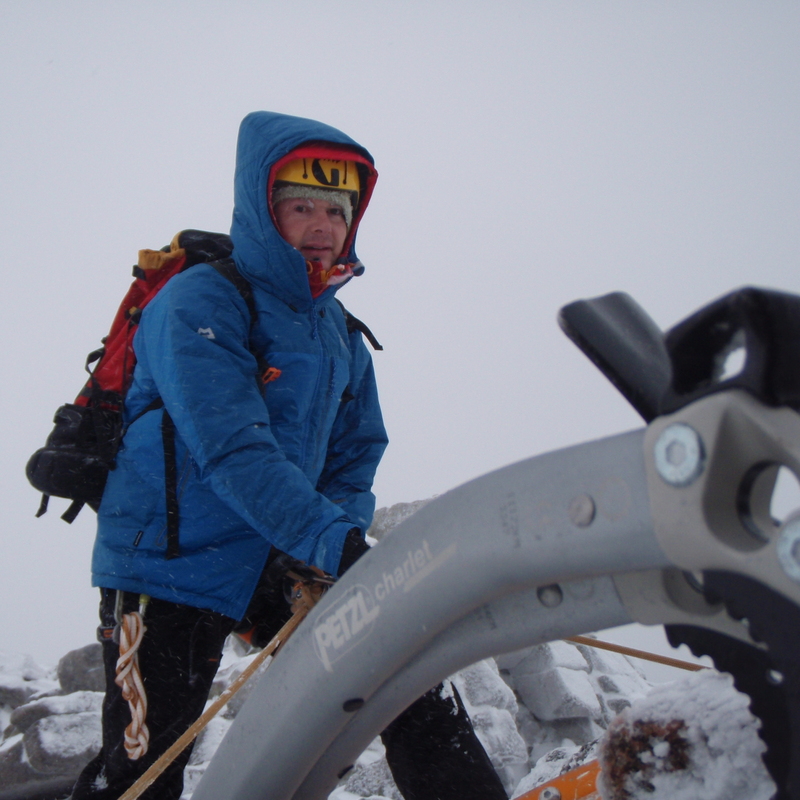 We also touch base with your ice axe braking skills (using technical tools) and walking on steeper hard snow. Get onto a route and get climbing putting into practise skills from the first day. Run through how to multi-pitch climbing. By day 3 we really know how you are climbing and look to climb routes that challenge you. We are very course member guided so will discuss what we think will suit you. We know the climbs really well and can select climbs that will suit you and the weather and ice conditions. Weather permitting each day will allow us to develop your skills and progress each day onto great routes some long and some harder? You might like ice or you might prefer mixed winter climbing and so we will aim to give you the experience of both of these types of climbing. A great last day, very course member lead and discussion over a pint on Thursday eve will guide this last day to be an amazing culmination of the week. 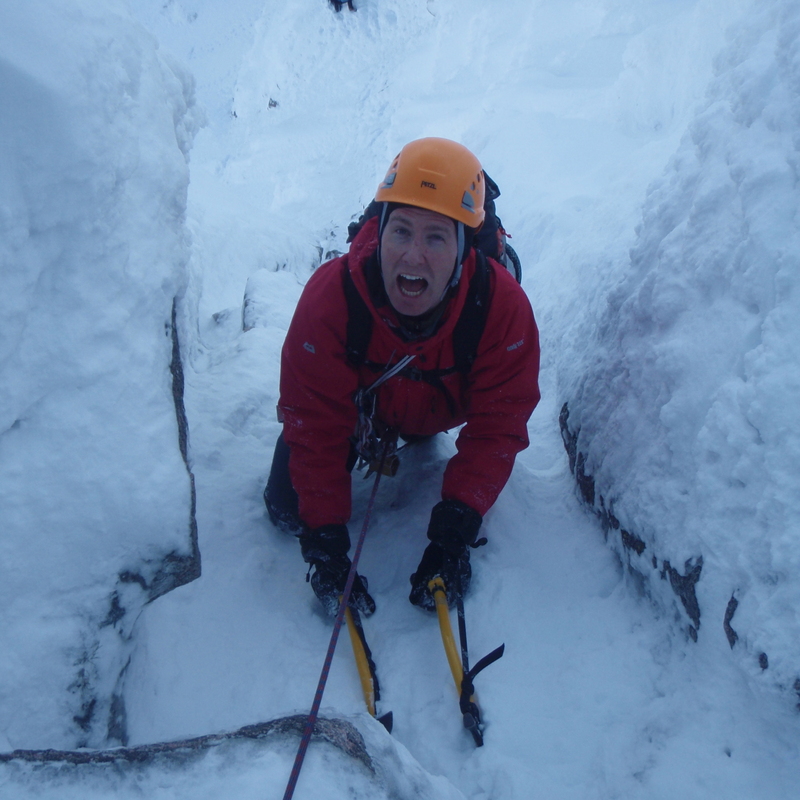 The Scottish winter climbing course is run on a 1:2 ratio throughout the week. 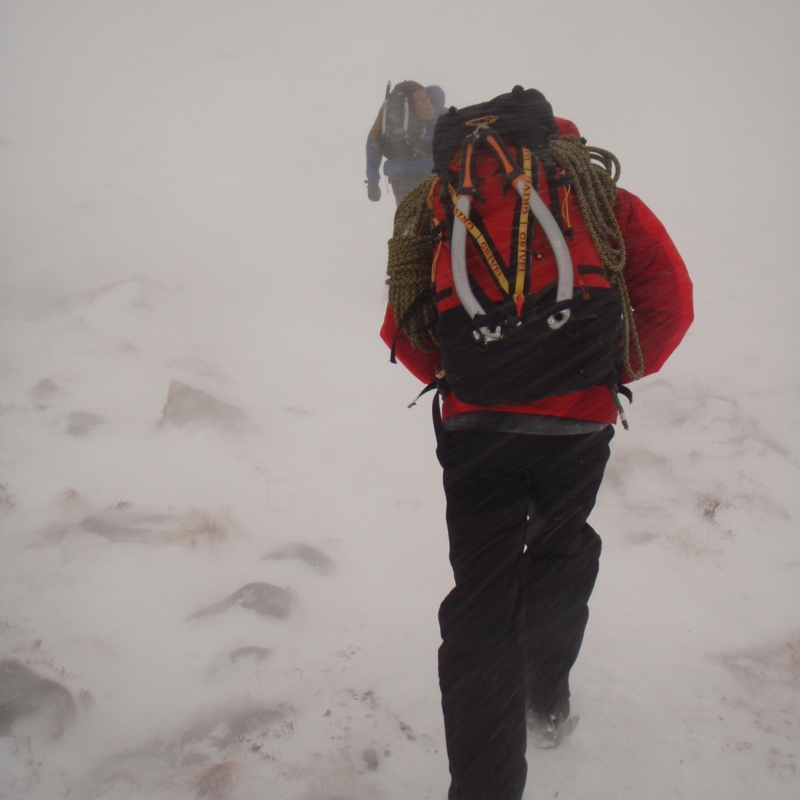 All our courses are run in the West Highlands including areas such as Ben Nevis, Aonach Mor, Glencoe, Creag Meagaidh. Or based in the Cairngorms National Park. As you are the one booking you can choose where your course will be and we can make suggestions where would be best. If you have routes that you really want to climb we will do our best to make your aspirations come true. Please follow this link to suggestions for accommodation. If you have your own kit that’s great and of course, you will prefer to use them but if you are flying or travelling by train to Scotland and space is a premium then feel free to use ours. You will need to bring clothing suitable for the demands of a Scottish winter, here is a Winter kit list for you to download and check through. We often give advice to those buying new kit for the course. We know what works through experience and can advise you on the best kit for you prior to the course. If you don’t have the specific winter kit needed for the course you can hire it from us. We will arrange this for you when organising your place on the course. We also supply free of charge Technical axe and hammer. In the past, we have offered set course dates but have generally found that clients prefer dates that suit their diary. Responding to this, we now offer this course on any 5 consecutive days to suit both your and our availability. If you have the choice weekdays are quieter in the hills but many clients have busy lives and rolling through a weekends suits. Prices are shown as a day rate per instructor. The ideal ratio is 1 instructor to 2 climbers. However, we can guide as 1 instructor to 3 climbers but this does limit the grade and choice of the routes available. All our courses are run in the West Highlands including areas such as Ben Nevis, Aonach Mor, Glencoe, Creag Meagaidh, or based in the Cairngorms. As you are the one booking, you can choose and we can suggest where would be best or you might have some routes in mind that you would love to do. If based over in the West look for Fort William if over in the Cairngorms (East) look for Aviemore: please follow this link to suggestions for accommodation. You will need to travel to and from the course but we often can provide transport during the course.